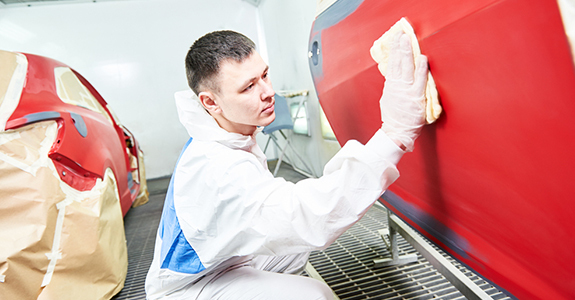 For the best auto body and collision repair services in Oregon, visit DJ’s Bump & Paint. We specialize in collision repair, insurance work, and body and paint repair on new cars, as well as older models. For quality repairs from the most recommended name in the business, call DJ’s Bump & Paint today! For an auto body shop in Grants Pass, OR that you can trust, call DJ’s Bump & Paint. We’ve been serving our Oregon drivers for over 30 years by providing quality auto repairs, great prices, and a stress-free experience. If you’re looking for an auto body shop in Grants Pass, OR that has a reputation for quality work and satisfied customers, we’re the shop you’ll want to call. Not only do we have over 30 years experience in the business, but all of our employees have also been with us 19 years or more. Experience is the key to a hassle-free repair, and that’s why we are the number one recommended body shop in Grants Pass, OR. Our level of experience in auto body repair is unmatched by any of our competitors. We specialize in insurance work and collision repairs. We offer drop-off service, vehicle pickup, shuttle service to work/home, and we can arrange for towing if needed. We offer our services to Grants Pass, Medford, Josephine County, Jackson County and Curry County, OR. For an auto body shop with a reputation for quality repairs, fair prices and great service, call DJ’s Bump & Paint today!